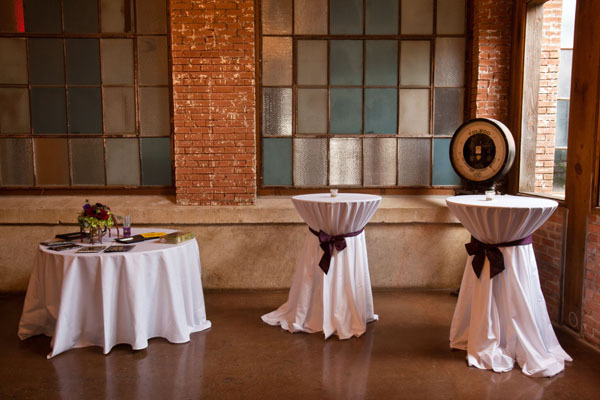 Celebrate your special day in elegance and style at the historic Cotton Mill. The Event Hall is a blank canvas that can be easily adorned to create the perfect romantic surrounding for an unforgettable reception &/or ceremony & reception combination. We would describe our venue as "Industrial Elegance". To see our Event Pricing, Calendar, FAQ's, Contract, etc., just click on the B&W Photo (below) and scroll down. 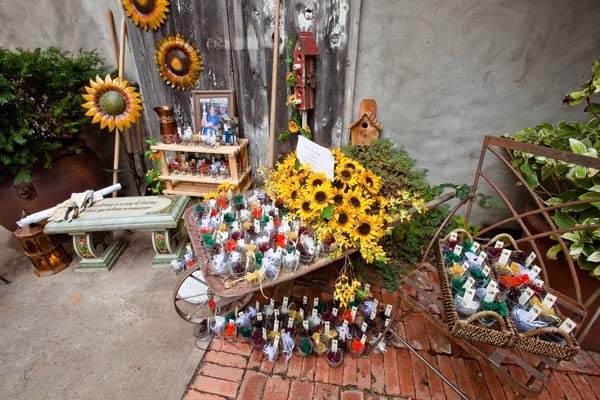 All of our information is on the Event Info & Pricing page of our website. If you would like to check availability click on the B&W Photo below and scroll down. Our Event Calendar is at the bottom of the Wedding Info & Pricing page. Please Note: If the date states "Call First" then someone else has First Dibs on that date but has not put down their retainer to book the date. If you are ready to place the retainer for that date, let us know by sending an email and we will check with the other party to see if they would like to book the date or release it. They will have up to 48 hours to decide. If the date states "Reception" then unfortunately it is already booked. If it is completely open, just email us and You can have First Dibs on that day!